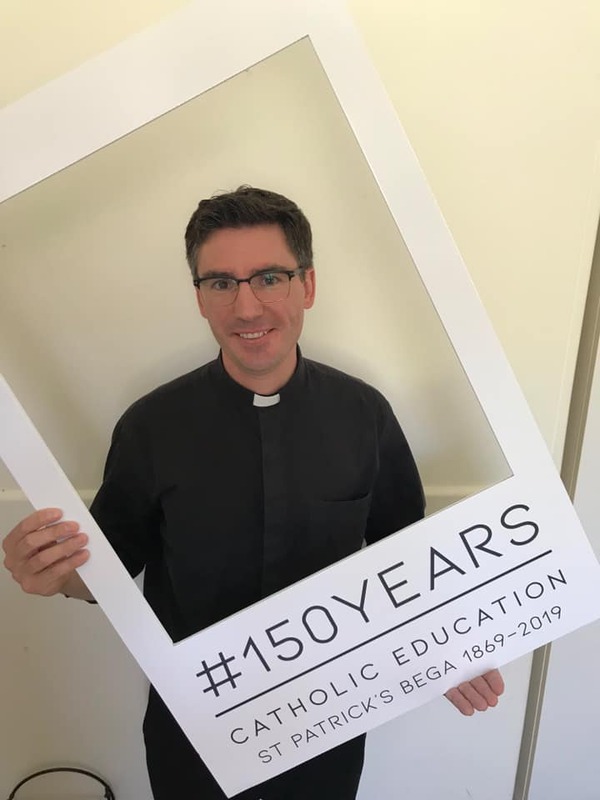 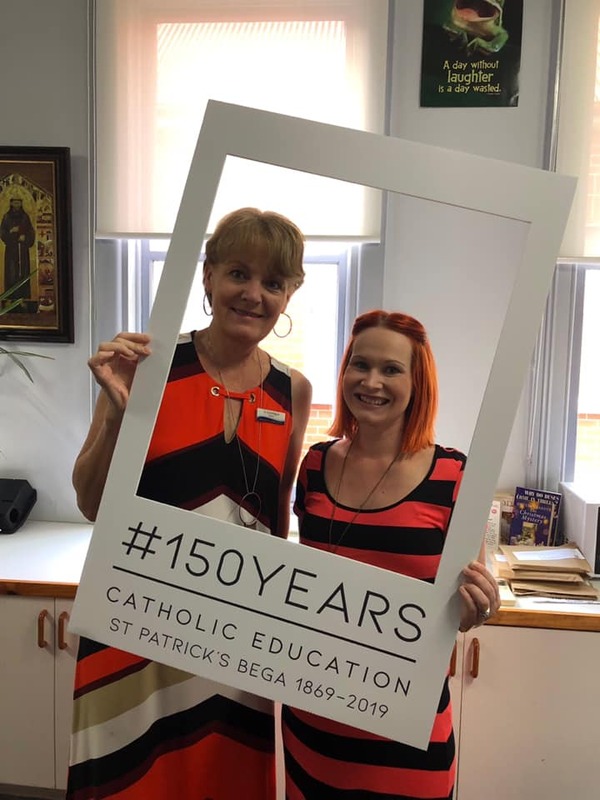 Principal Jo Scott-Pegum got into the spirit (and the habit) along with Fr Luke Verrell in the St Patrick’s Day Parade in Bega as part of the Sesquicentenary celebrations. 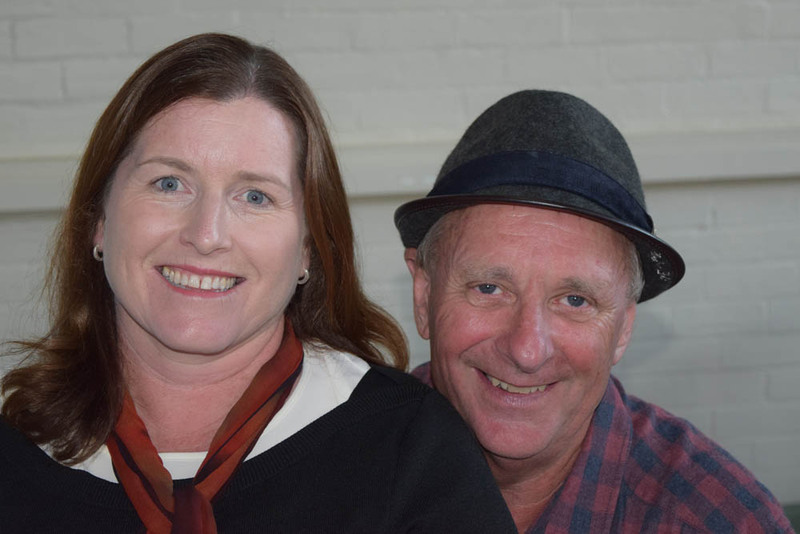 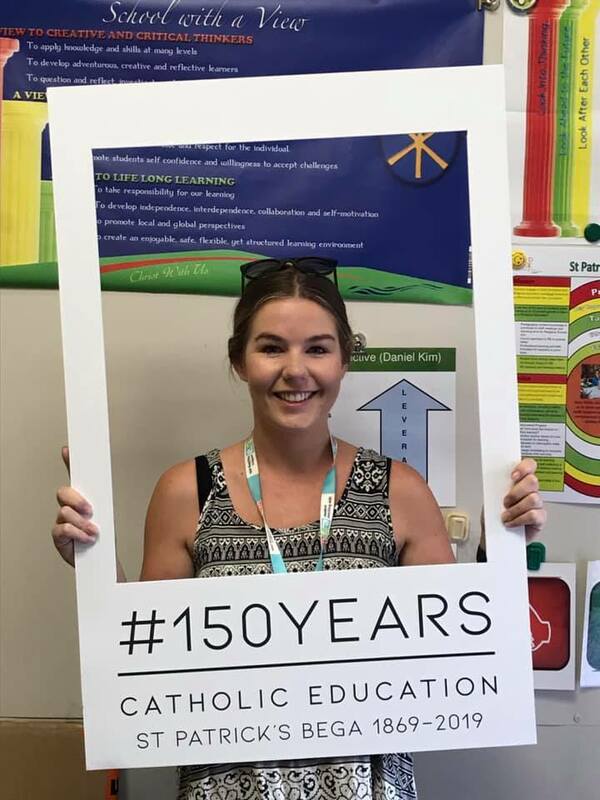 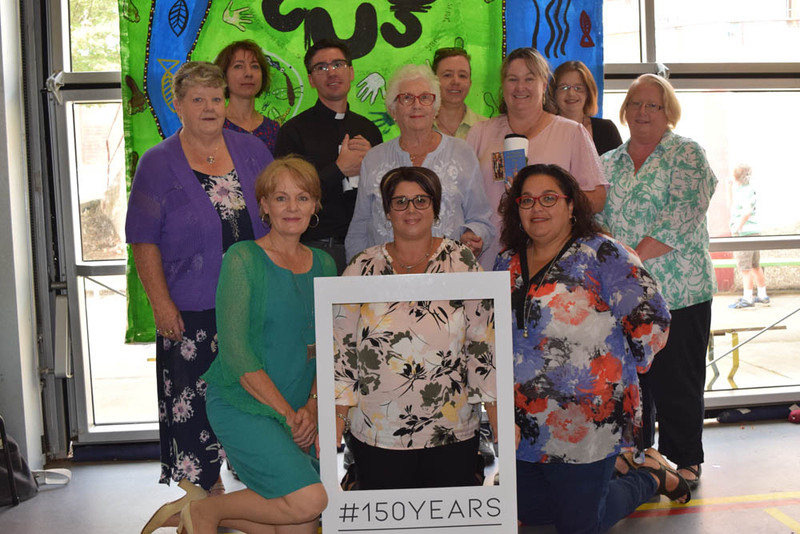 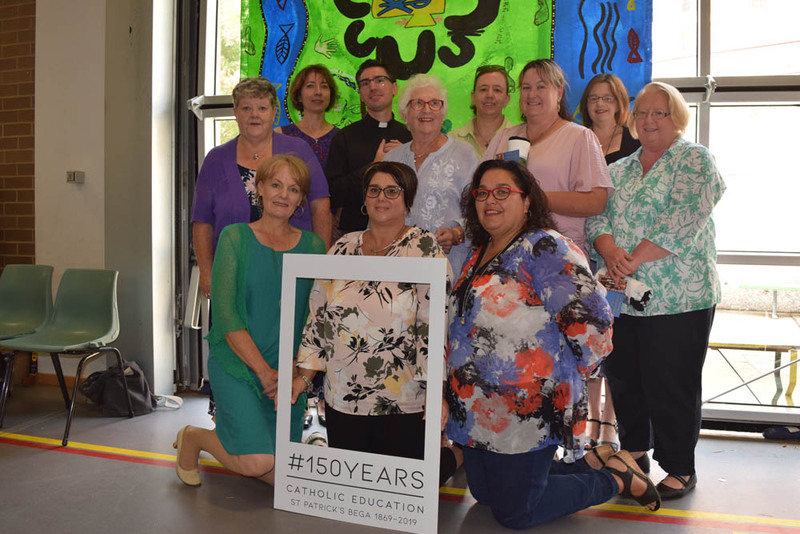 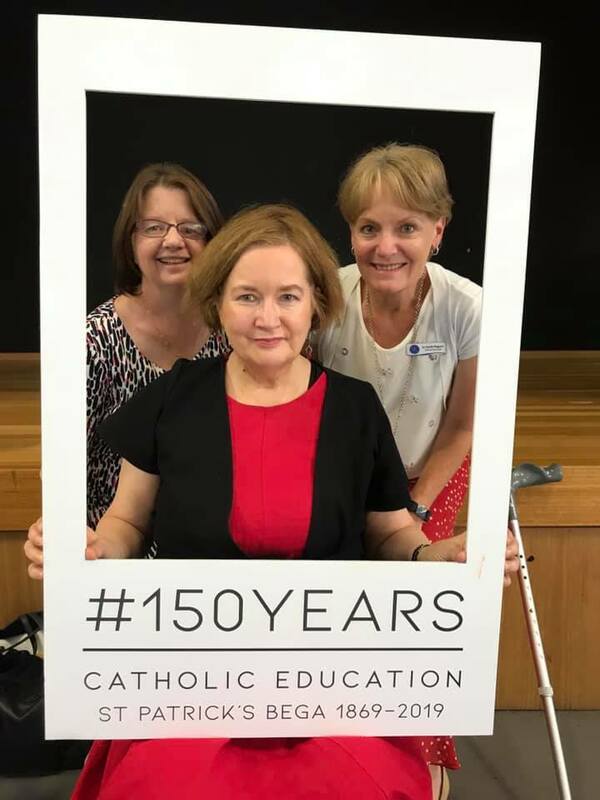 There were times when it seemed to take on a life of its own and felt like a second full time job, but Jo Scott-Pegum and her organising committee have finally had a chance to put their feet up after organising the wonderfully successful St Pat’s 150th anniversary. 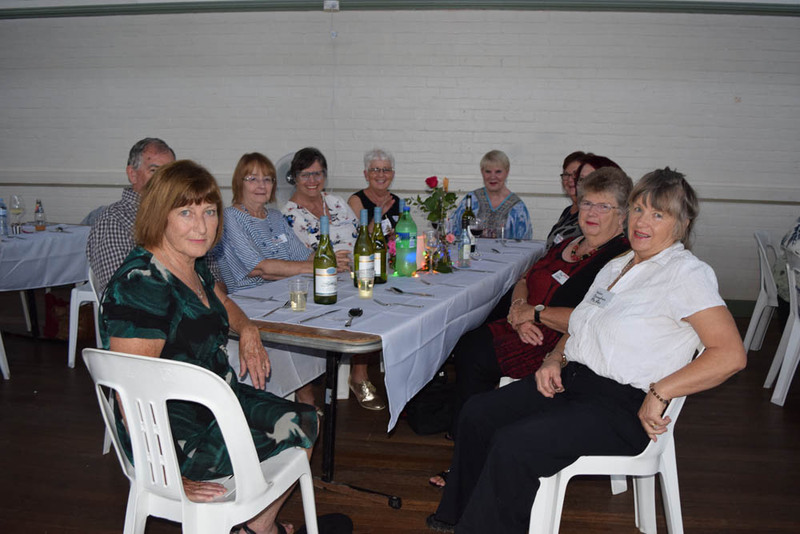 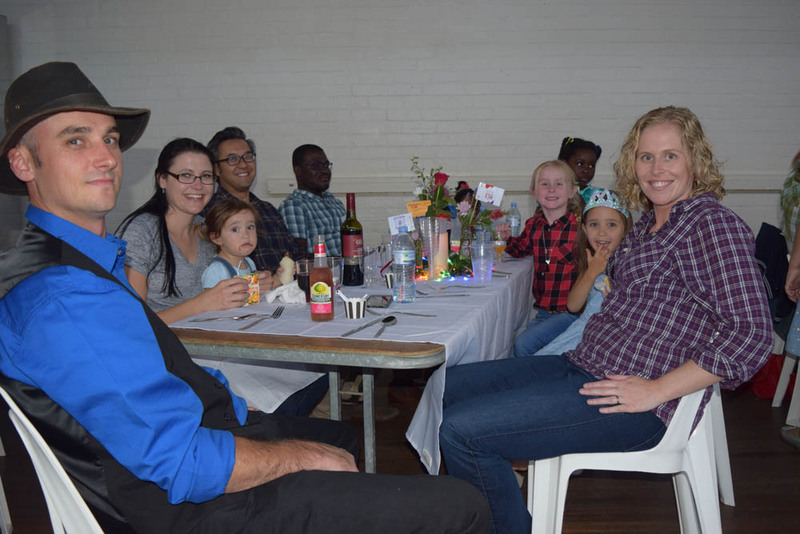 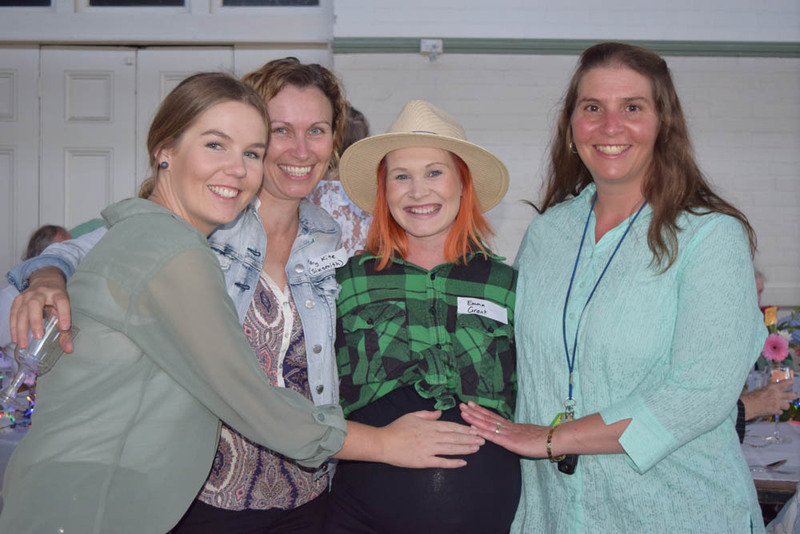 The committee, the school community and the parish spent over a year pulling together the various threads for an event that Jo said exceeded all expectations. 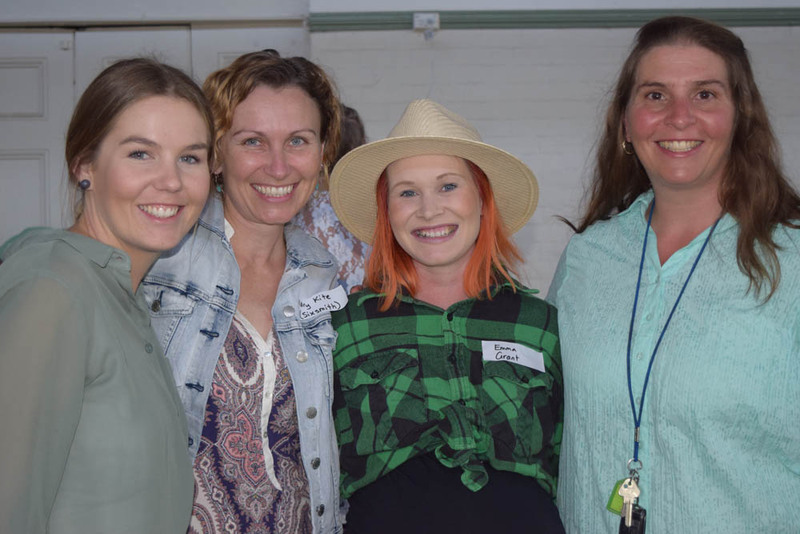 “After 18 months of planning with the last minute crossing of T’s and dotting I’s to add to the detail of the event, we were anxiously waiting to see how many people were going to arrive,” said Ms Scott-Pegum. 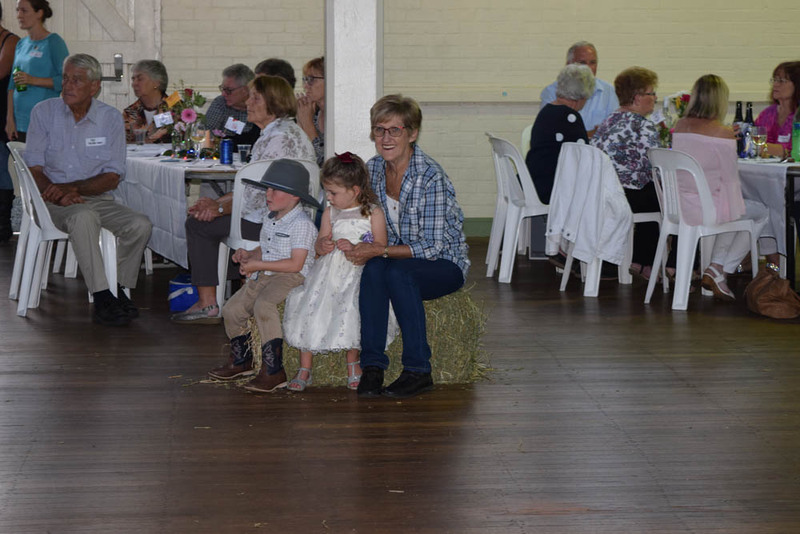 “But from the very start when our koori children performed a welcome to country dance and set the scene for the event, everything surpassed our expectations. 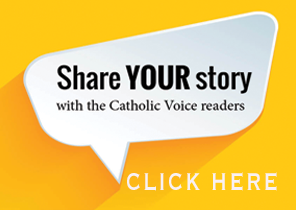 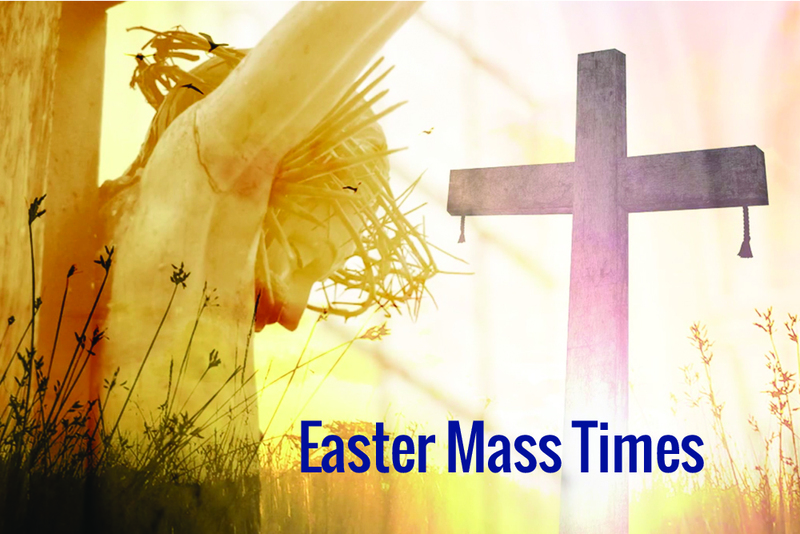 “The two celebrations of Mass, with Fr Tony Percy opening the event and the Archbishop closing it, were beautiful. 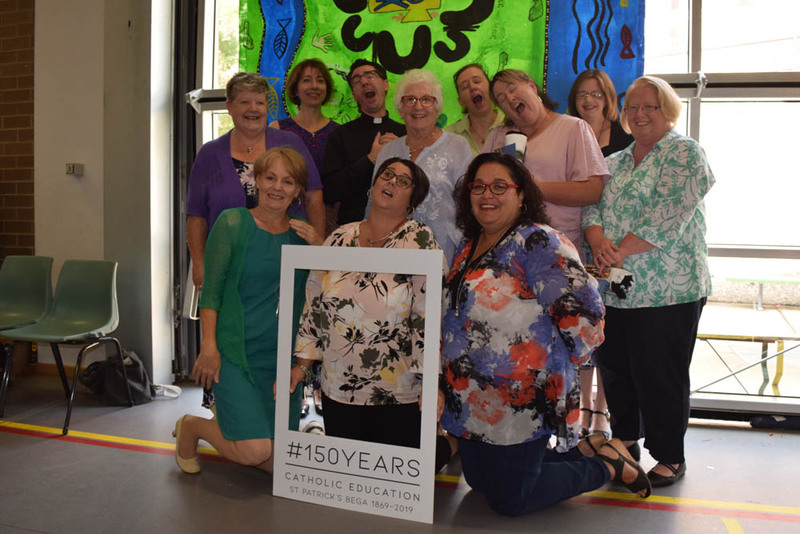 The opening Mass had five co-celebrants, including Fr Byrne who was a past student of St Pat’s… he started at St Pat’s in 1934! 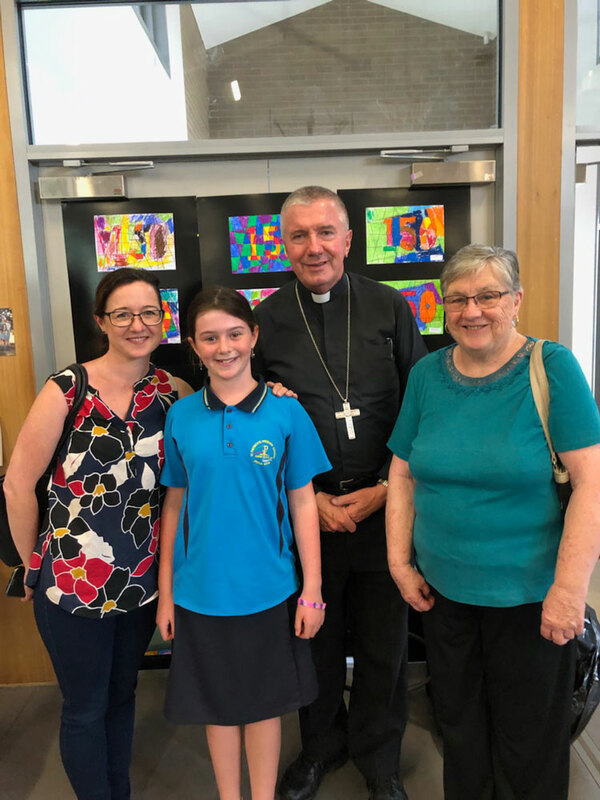 Archbishop Christopher Prowse with three generations of the same family educated at St Patrick’s, Bega. 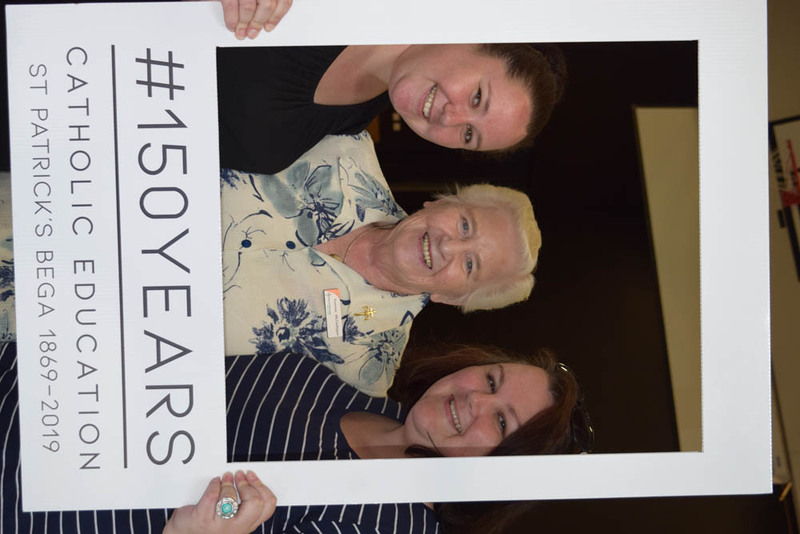 Ms Scott-Pegum said the staff had worked especially hard in that last week to set up the museum in the school hall. 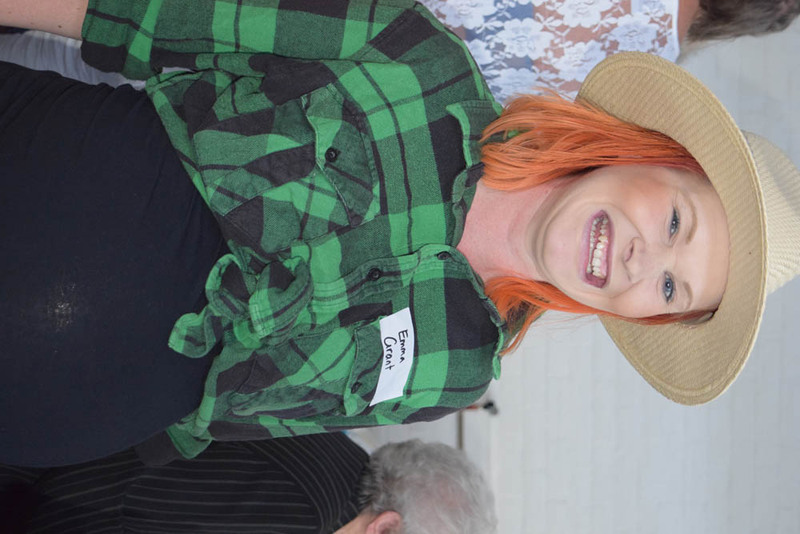 “It was a living museum and was perfect. 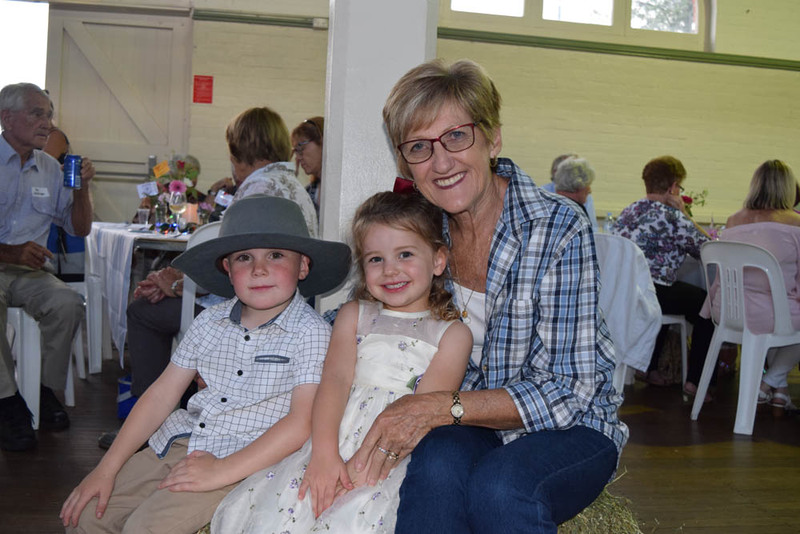 The hundreds who came through the event spent time looking for photos of themselves, or their mother or father or someone they knew, it was a space for sharing stories,” she said. 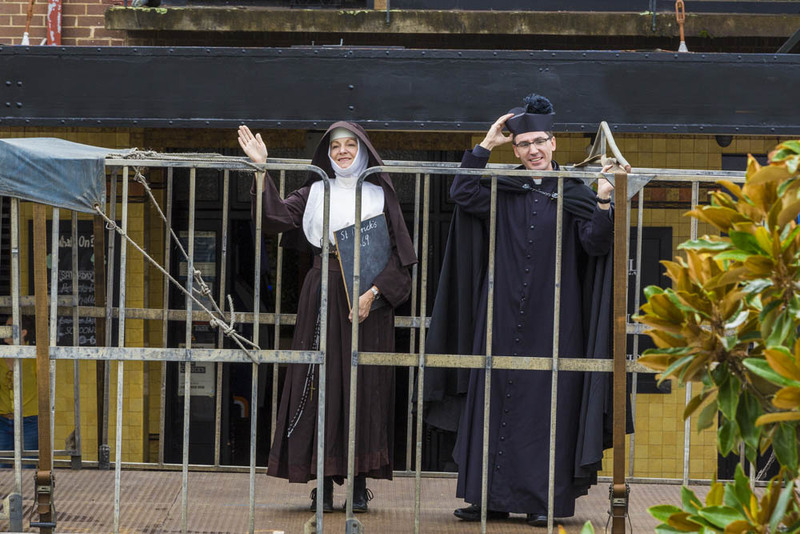 “As people mingled they shared their gratitude to the organising committee, the school staff and the students. 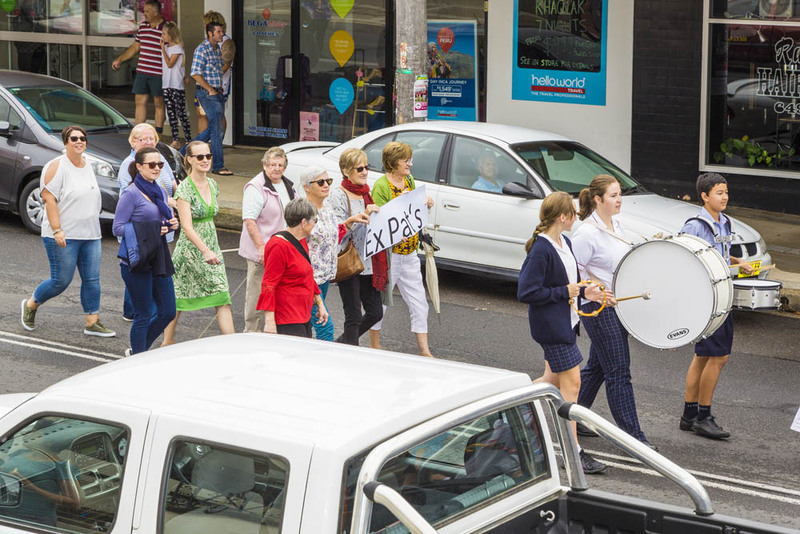 People commented about the time it must have taken to prepare for this momentous occasion come together. 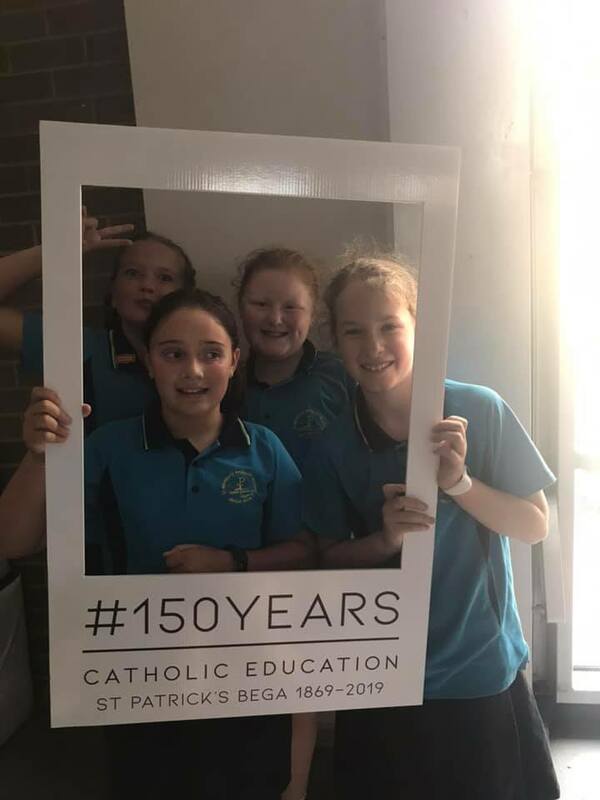 The Sesquicentenary event started on Friday March 15 and ran until Sunday March 17 (St Patrick’s Day). 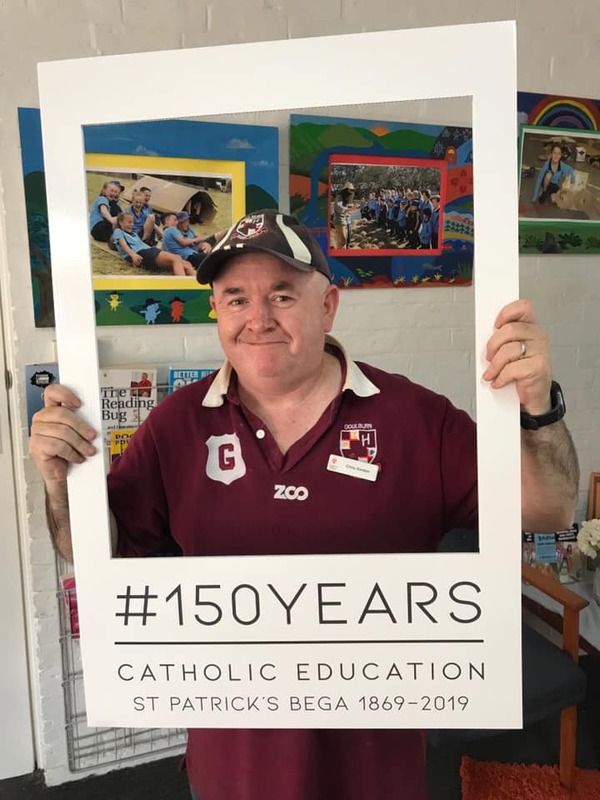 It included an opening and closing Mass, a full student body ‘flash mob’ ending with the students in the 150 formation, and other school activities and re-enactments, the transformation of the school hall into a pop-up museum, a St Patrick’s Day parade and the Bush dance and official dinner. 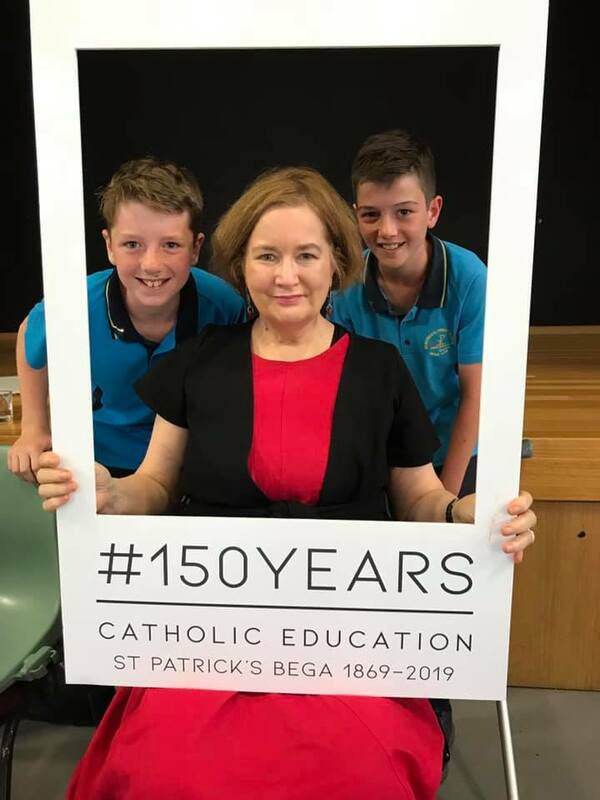 And even though it hasn’t been officially sanctioned by Rome yet, Ms Scott-Pegum believes there was even a minor miracle at the sesquicentenary. 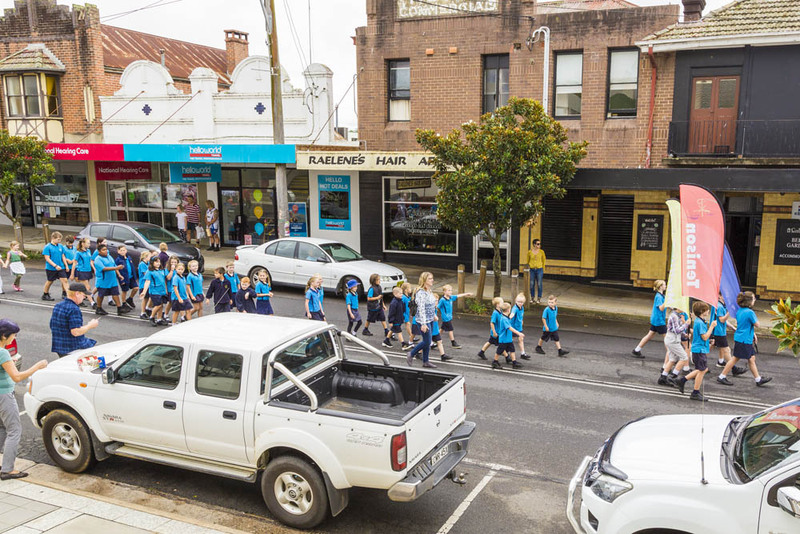 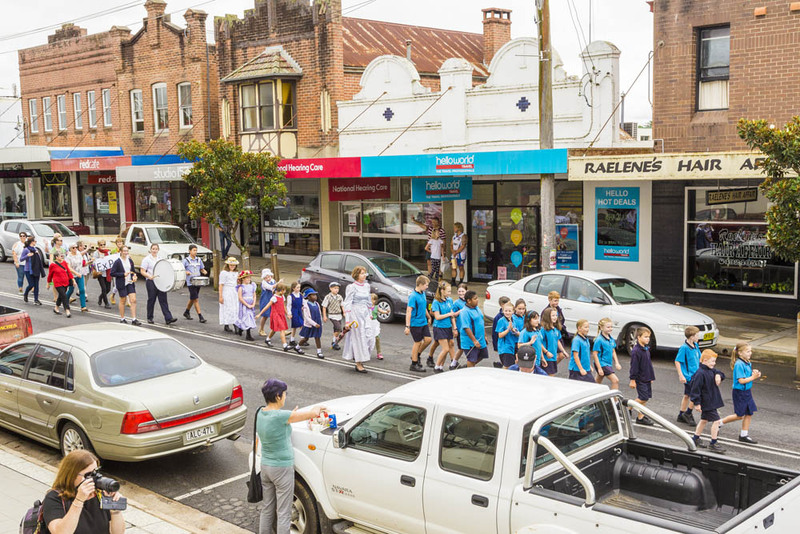 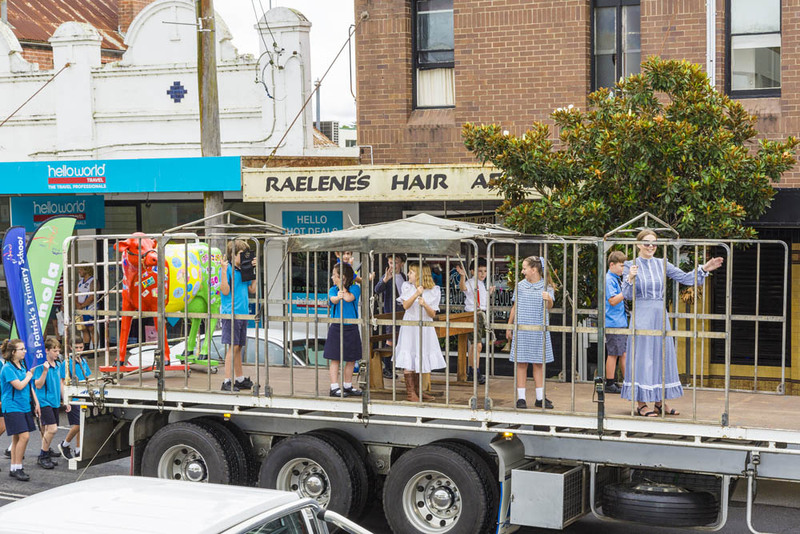 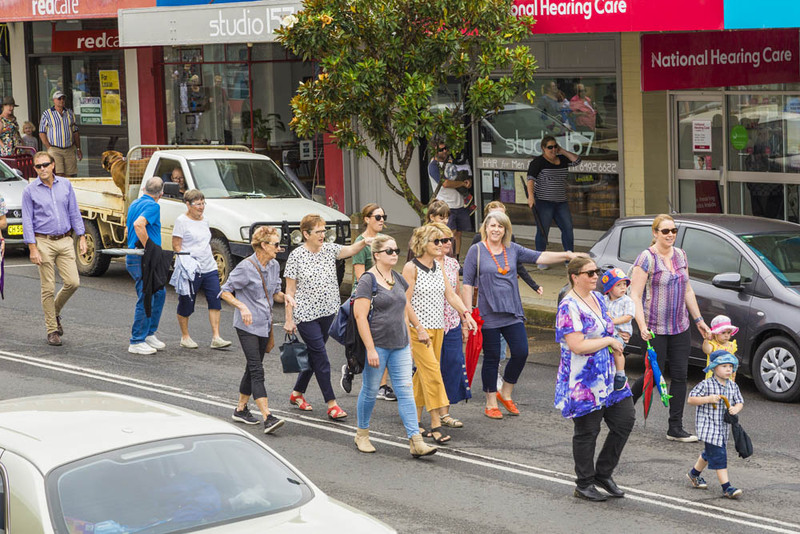 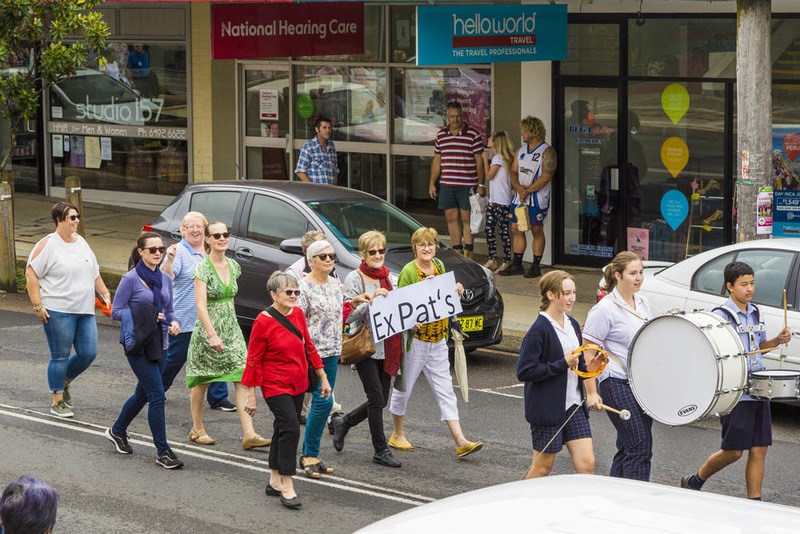 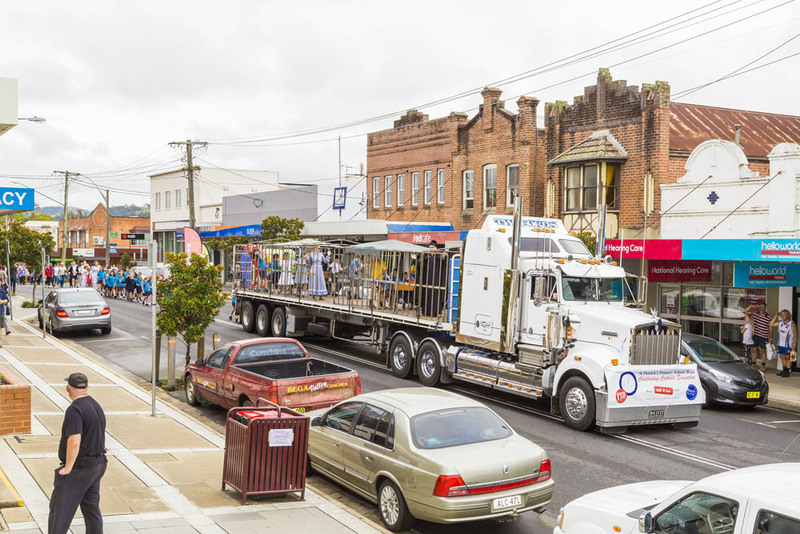 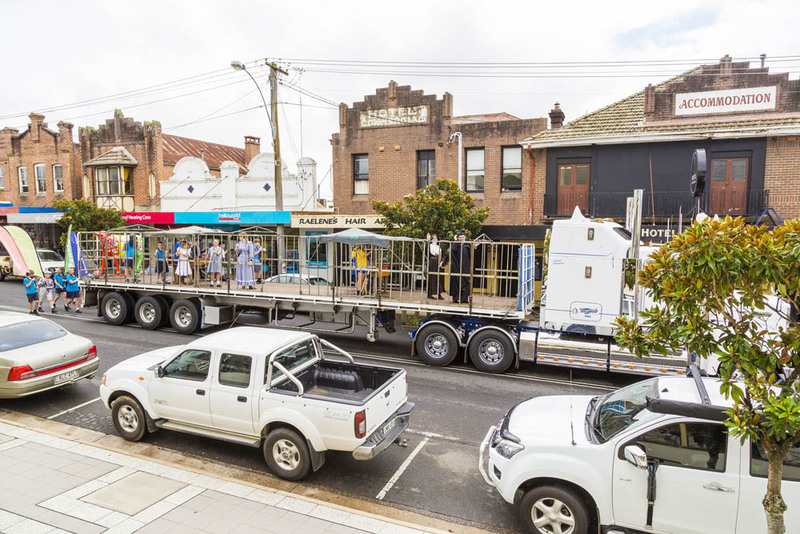 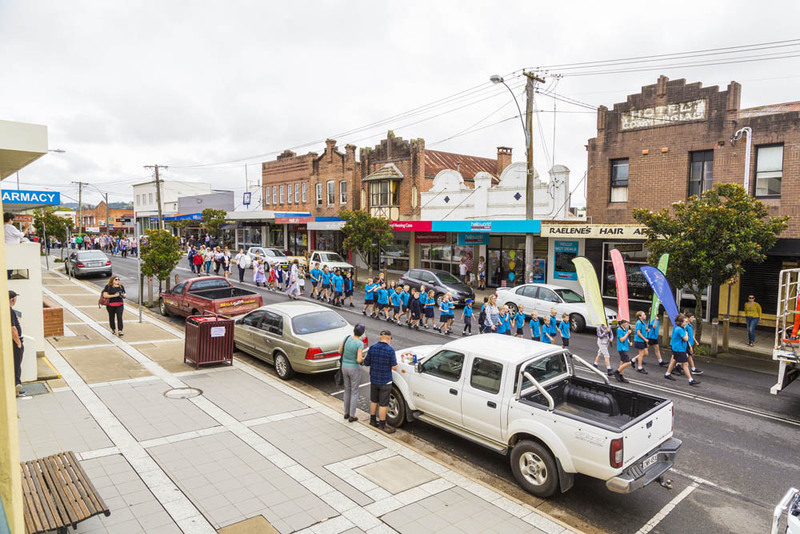 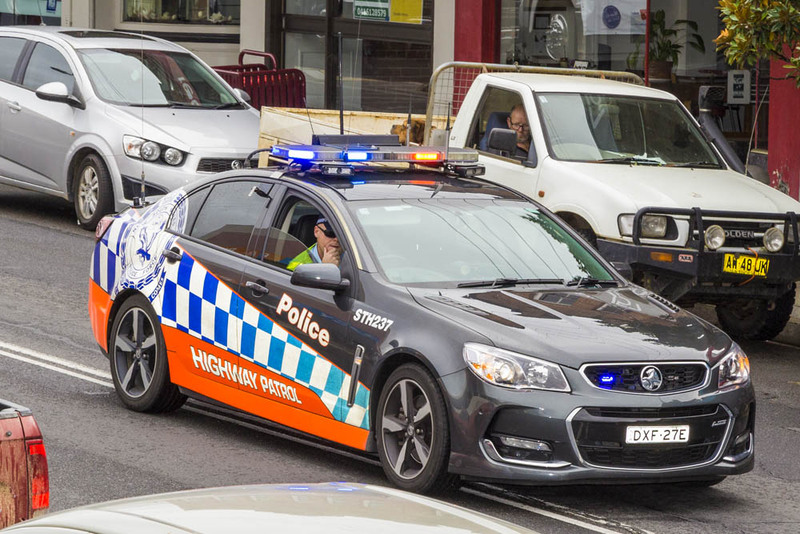 After a Saturday morning that consisted of continuous bouts of drizzle and rain, the rain pulled up just long enough for the St Patrick’s Day parade through the main streets of Bega. 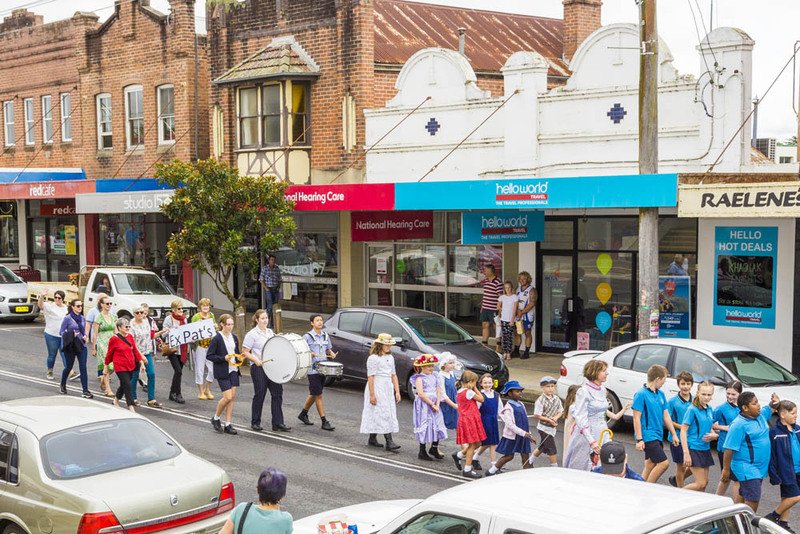 “We were delighted that so many past students participated in the parade and many people turned up to watch the parade and to cheer us on,” she said. 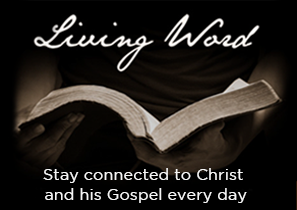 While the event is over, that doesn’t mean that the work is all done. 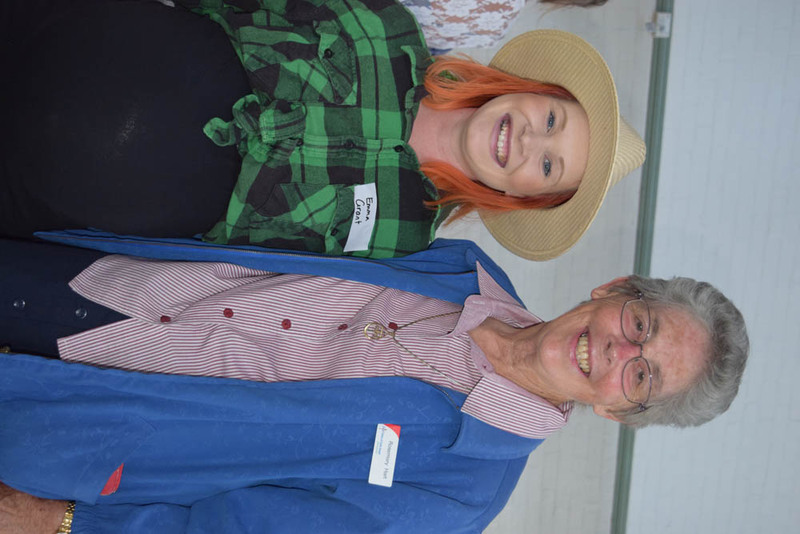 Ms Scott-Pegum said there are thousands of videos and photos to assemble into some kind of record of the event, there are plans to prepare a time capsule, and letters of thanks to send. 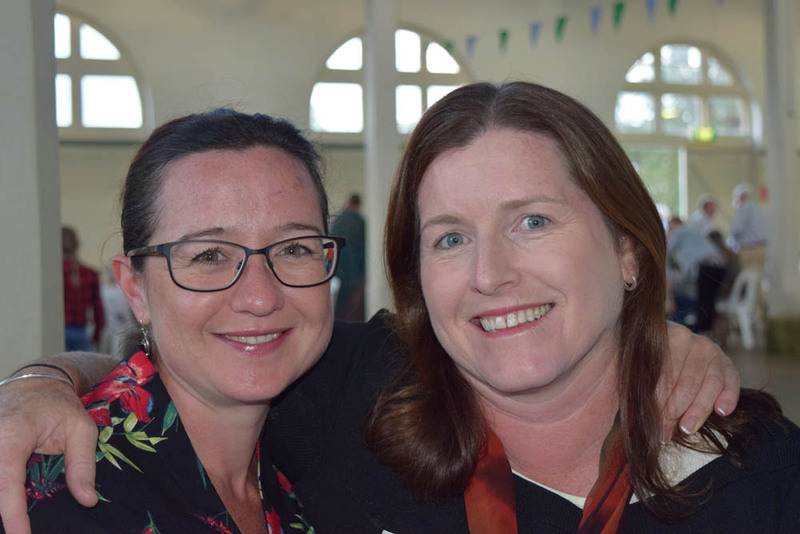 But rather than a finite and completed thing, Ms Scott-Pegum hopes the event will have lasting positive outcomes. 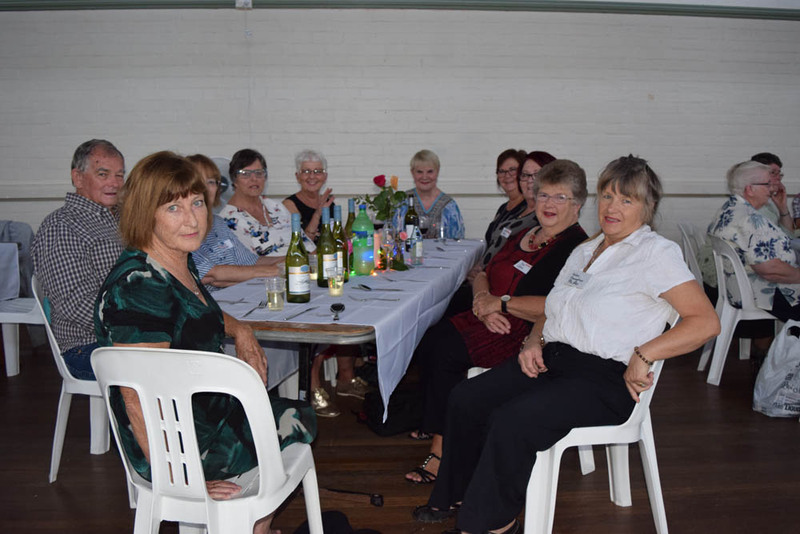 Many of those who attended the event have reconnected with people they’d fallen out of touch with. 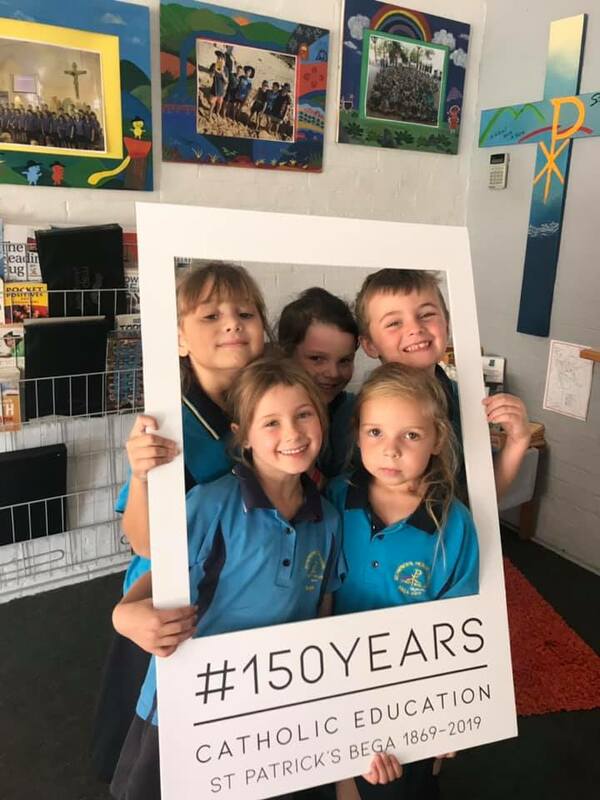 The school now has a photographic display in the foyer. 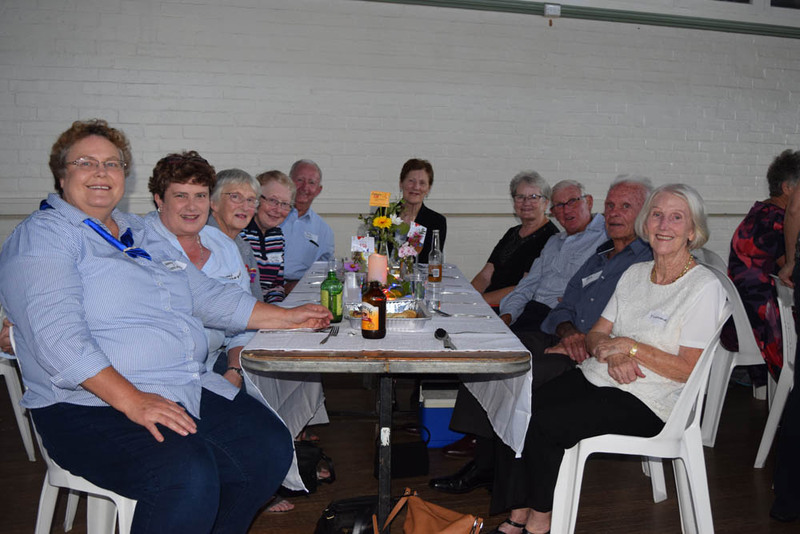 And the organising committee and staff… well they can put their feet up… for a few days, anyway.